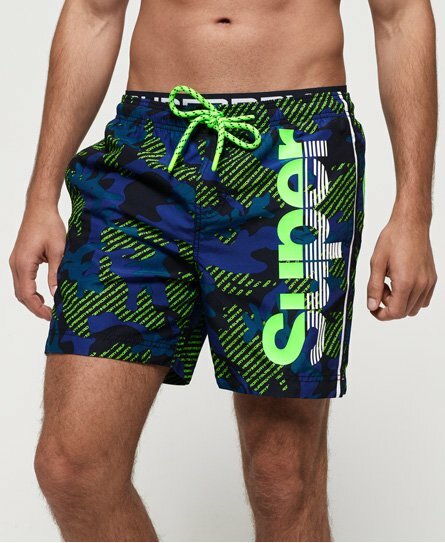 Superdry men’s Superdry state volley swim shorts. These high quality, quick dry swim shorts will give you freedom of movement and comfort for every length. They feature an elasticated waistband and a drawstring waist, three pockets including a zip back pocket and a full mesh lining. For the finishing touches, these shorts have been decorated with a Superdry branded waistband and a Superdry logo on the thigh.